Spacious, oak-beamed annex to listed family home, for up to 5 people with two en-suite bedrooms, in a quiet location close to English Heritage site, shops and the countryside. Free wifi. The Priory is a grade II listed building which is situated on the edge of the charming, medieval market town of Much Wenlock. It is quietly situated within a couple of minutes walking distance of a wide selection of shops, restaurants and public houses. Equally it lies adjacent to the historic Wenlock Abbey ruins and open countryside which leads onto Wenlock Edge. 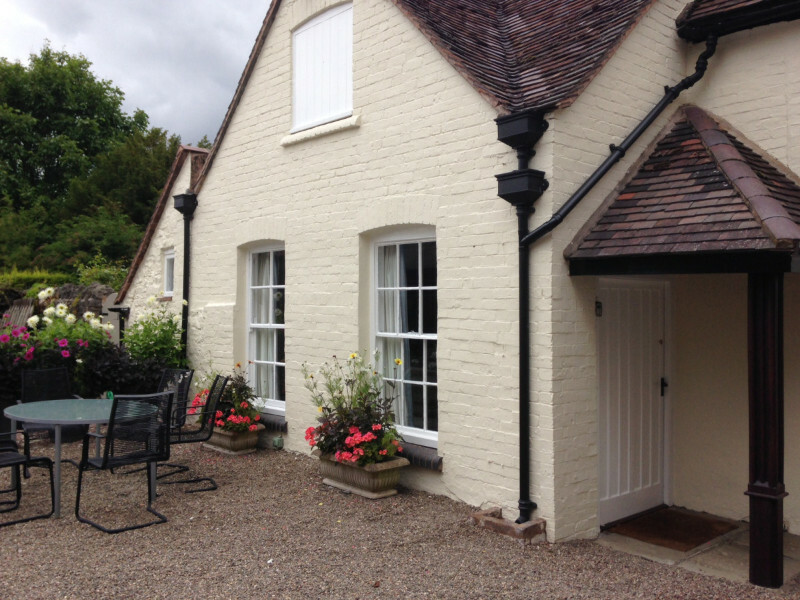 The holiday accommodation is in a self contained annex to the left hand side of the house. There is ample off street parking with security lights and a south facing seating area in which to enjoy a cup of tea or glass of wine! 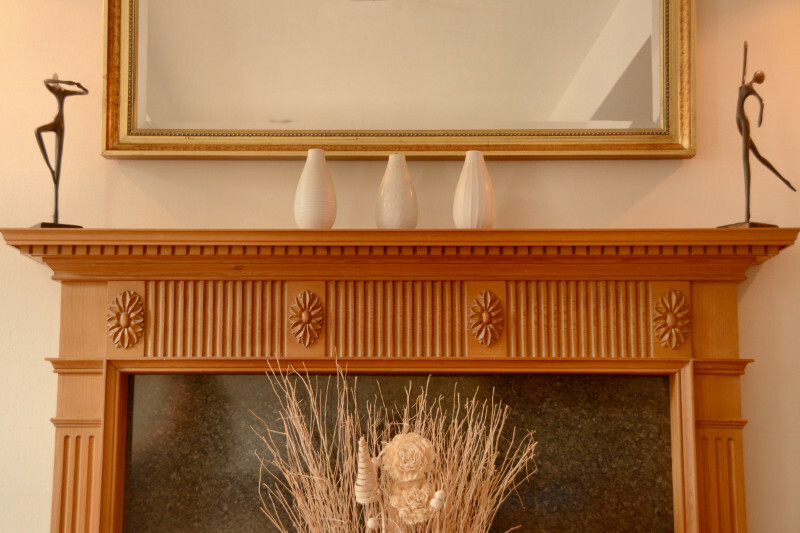 The annex is very well appointed with free wifi and gas fired central heating. New carpets have been fitted recently and all bed linen and towels are provided free of charge. The accommodation is approached through a covered porch with security lighting into a large south facing sitting room which has a Sony Bravia HD television, a Sony DVD player and a Sony radio and ipad dock. There is also a large comfortable sofa which converts to a sofa-bed if required. The dining kitchen has a tiled floor and is very well equipped with an electric oven, washing machine, microwave and fridge freezer as well as a farmhouse kitchen table that comfortably seats six. Also downstairs is a cloakroom with electric shower and under stairs coat hanging space with a tumble dryer. 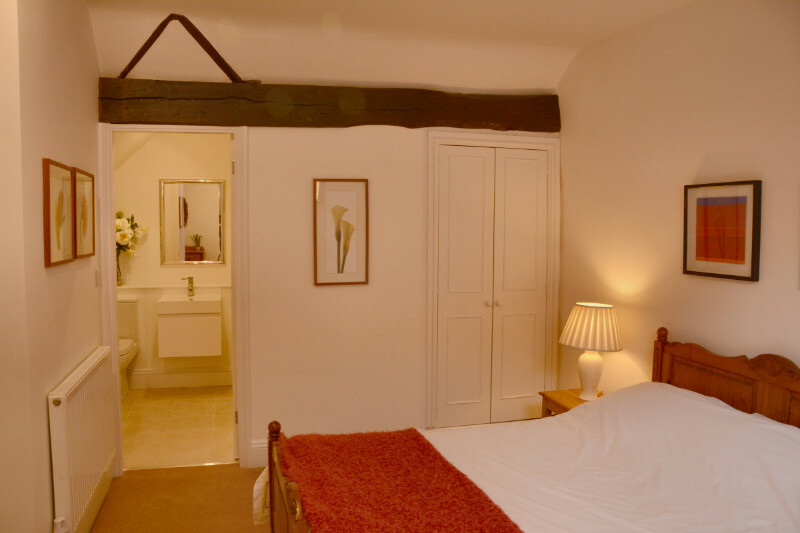 Upstairs there are two comfortable en-suite bedrooms with original beams. 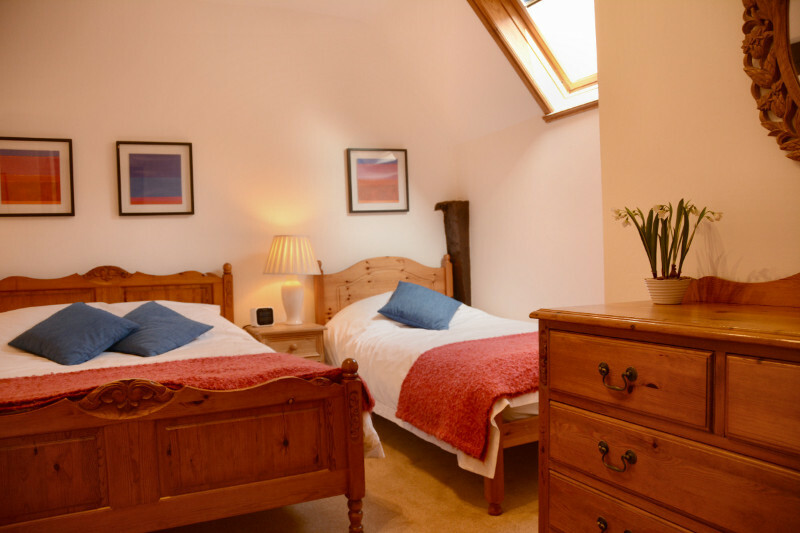 One bedroom has a double bed and en-suite shower room and the other has a double and single bed and en-suite bathroom, providing versatile sleeping accommodation for couples or families. Please contact us if you would like further information or to check availability. 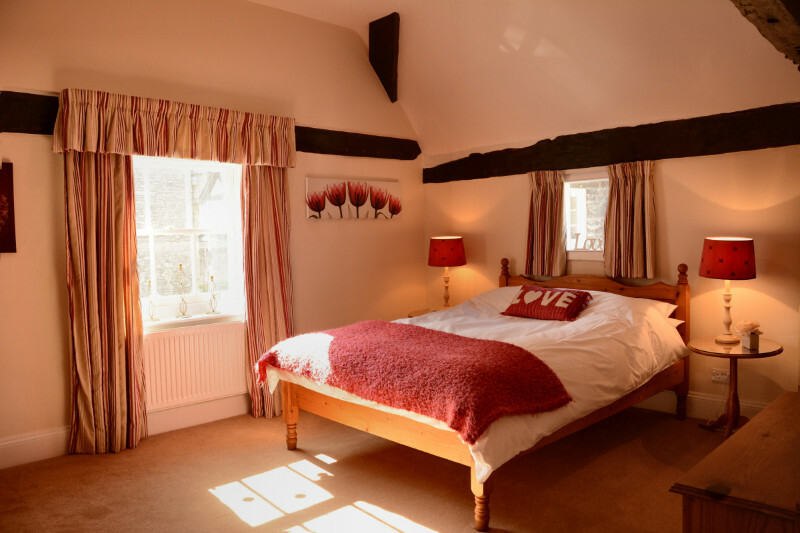 We also offer Bed & Breakfast and Short Breaks out of season. 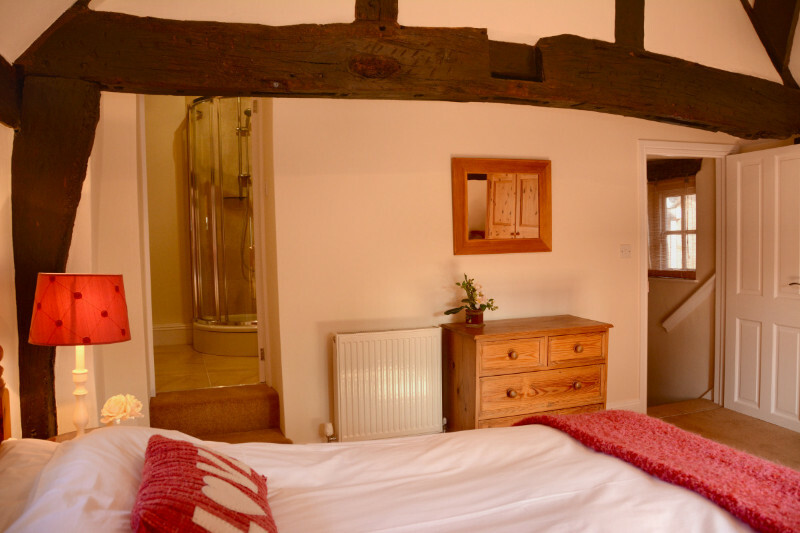 The annex to The Priory offers extremely comfortable accommodation and a very warm welcome. Indeed, many of our guests return year after year! From Shrewsbury take the A458 towards Bridgnorth. Turn right onto High street/A4169. Bear right onto High street. Turn left onto Wilmore street. Turn right onto the Bull Ring. Finish at The Priory.